Getting an enterprise off the ground is a great accomplishment. Once a business venture gets traction to grow or become a market leader, entrepreneurs are often faced with a crossroad. When business owners are uncertain which path to choose, advice and mentorship can break down barriers and offer clarity. Small and medium-sized enterprises (SMEs) are cornerstones of the Canadian economy. According to a BDC study, successful SMEs have a few things in common: these businesses innovate, ask for outside advice and have a plan to measure progress. The entrepreneurs behind the most successful SMEs don’t figure everything out on their own, they often reach outside of their core team, circle of friends and family to find unbiased and industry-specific support for the next phase of their business. During Small Business Week, the Whistler Open Forum showcased these local leaders to share personal stories of how mentorship and partnership helped them dream bigger and accomplish more than they ever thought possible. A few years ago, Louise and Bob Van Engelsdorp had a vision to bring Epsom salt float pods to Whistler. A new trend at the time, this sensory deprivation experience required a large capital investment but was a tough sell for a typical lending institution. After hearing about non-profit Community Futures Howe Sound, Louise called to pitch her idea. They coached her to a stronger business plan and soon after, a deal was struck and West Coast Float opened its doors in December 2013. For Louise, the road to becoming an entrepreneur has been full of twists and turns, but Community Futures has continued to provide invaluable mentorship and guidance along the way. When Nicolette Richer made the leap from policy developer to entrepreneur, she did so with a clear vision, solid business plan and an incredible amount of energy fueled by green juice. The Green Moustache moved forward using her own savings, creative bootstrapping, a retail partnership with 3 Singing Birds and an investment from Futurpreneur. Over the last two decades, non-profit Futurpreneur has provided financing, mentoring and support tools to aspiring business owners aged 18 through 39 across Canada. With their advice, Nicolette expanded to a second location in Vancouver and is collaborating with an expert to accelerate growth across North America through a franchise model. Co-Founders Joe Facciolo and Skai Dalziel already had a successful business, Whistler Tasting Tours, when they decided to pivot from hospitality into the tech sector with Guusto, a mobile platform that sends food or beverage gifts to your contacts at restaurants in over 250 Canadian cities. Starting with investment and mentorship from Futurpreneur and additional coaching from a tech accelerator, the entrepreneurs then became the first BC-based company to successfully raise funds through equity crowdfunding. Unlike traditional crowdfunding that solicits donations, equity crowdfunding involves startups selling shares directly to investors so Guusto’s early adopters and loyal customers can have a stake in the game. Next up for Joe and Skai: making a pitch for further investment on CBC’s Dragon’s Den November 11. Sometimes, entrepreneurs need another set of eyes to see the road ahead. These made-in-Whistler successes are textbook examples of how small businesses can launch and thrive with the right level of partnership, investment and mentorship. 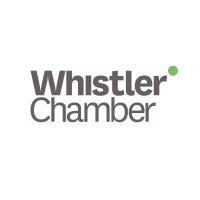 Have an idea for a business networking event we should host in Whistler? Contact us and we’ll see if we can line it up at the next Whistler Open Forum.